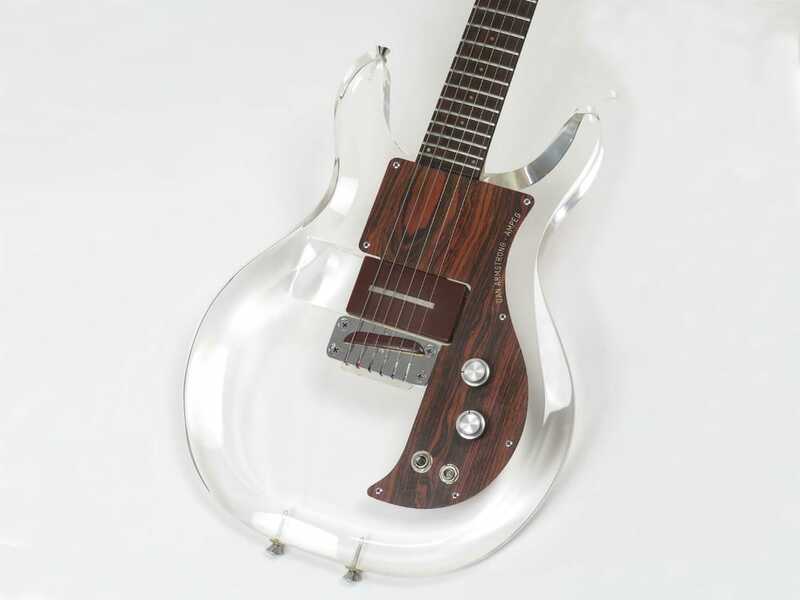 "Hi, you are looking at a vintage/original Ampeg Dan Armstrong Lucite guitar, similar to the one "Keef" played with the Stones. 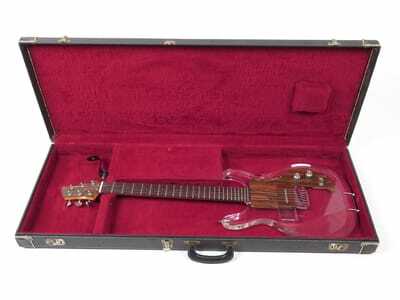 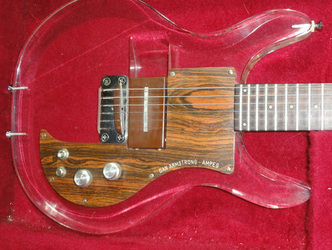 The original guitar was made between 1969-1971, with around 8000-9000 being made. 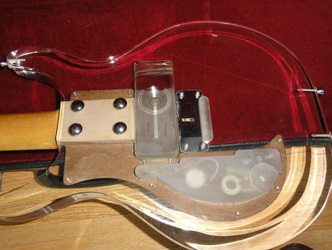 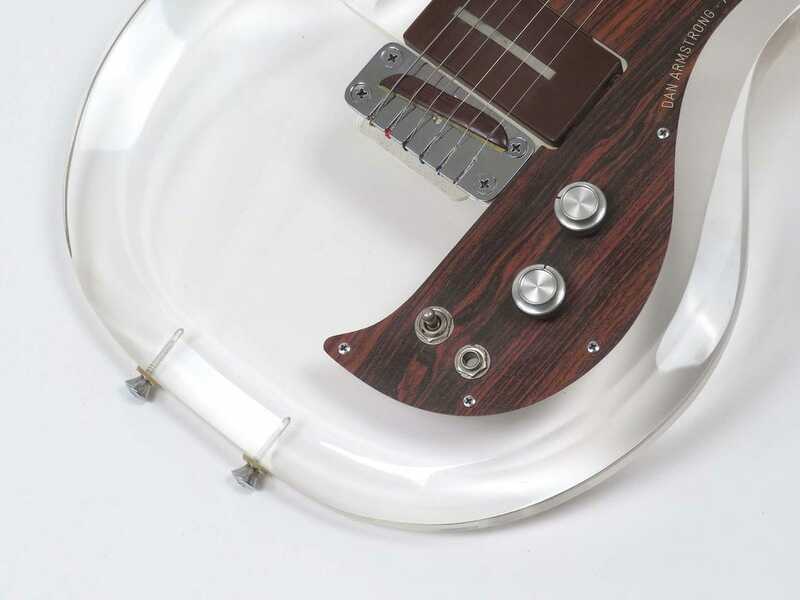 The guitar is made of lucite with a removable pickup and a very nice neck. 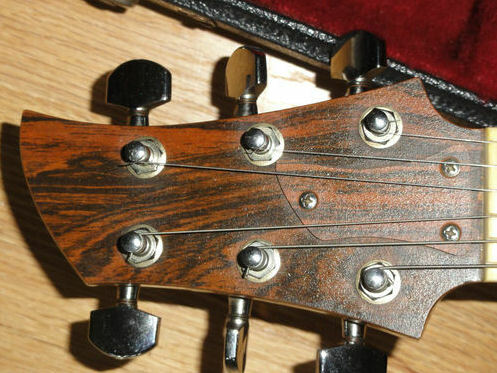 Little fret wear and overall in very good condition, a 7-8 of 10. 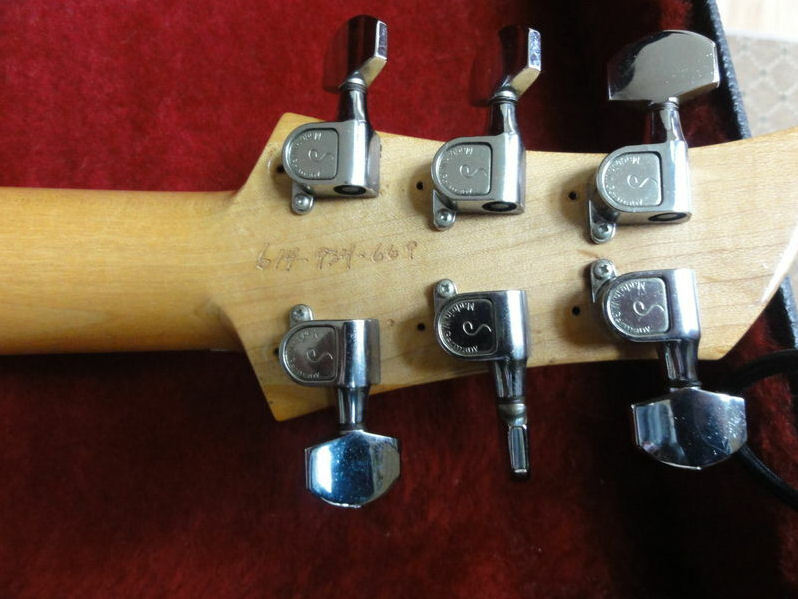 The only thing non-original are the tuners, which the previous owner replaced. 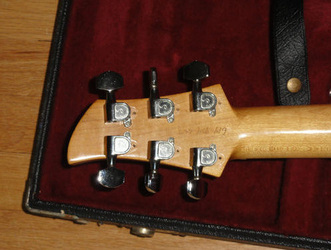 There is also a telephone number inscribe on the back of the head-stock. 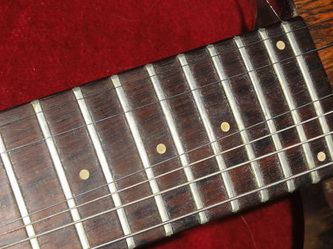 The Blue Book/Vintage Guitar value for an all original in very good condition is between $3,800-$4,200. Because of the change tuners I am putting the guitar up at $3,500 with best offer option. 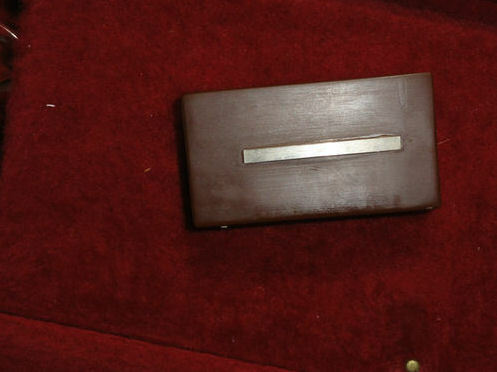 I believe the case is original but cannot say for certain. 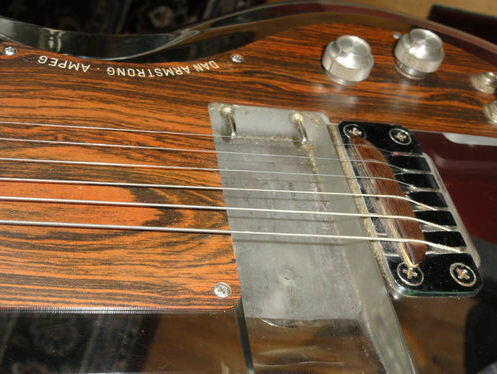 NOTE: The serial number is A1352D"
The seller then brought the guitar back to market in March 2012, this time with a much lower asking price of $1,900. 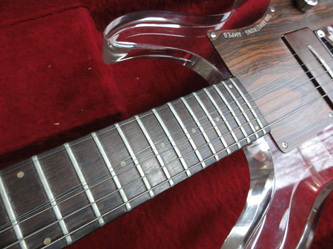 The final sale price was $1,550. "HI, YOU ARE LOOKING AT AN EARLY AMPEG DAN ARMSTRONG LUCITE GUITAR, SERIAL NUMBER A1352, MADE IN THE LATE 60'S/EARLY 70'S. 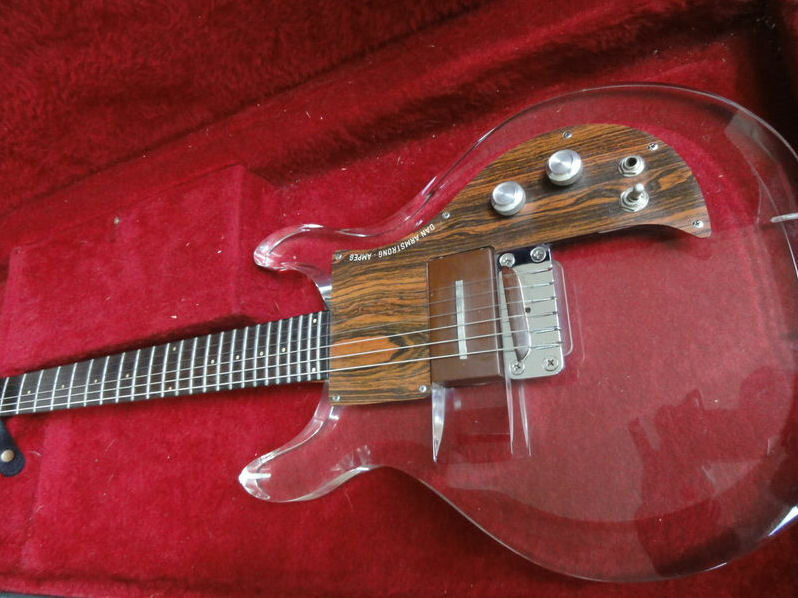 OVERALL THIS GUITAR IS IN VERY GOOD CONDITION, WITH MINIMAL FRET WEAR, NICE LOW ACTION AND VERY LITTLE SCUFFING TO THE LUCITE. 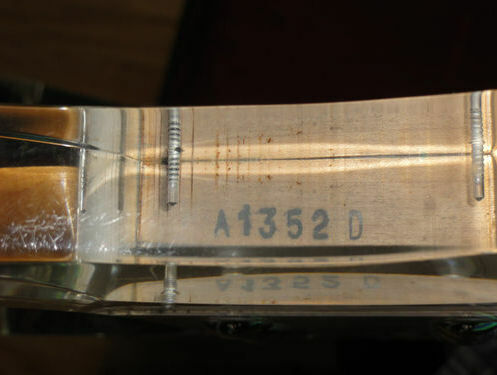 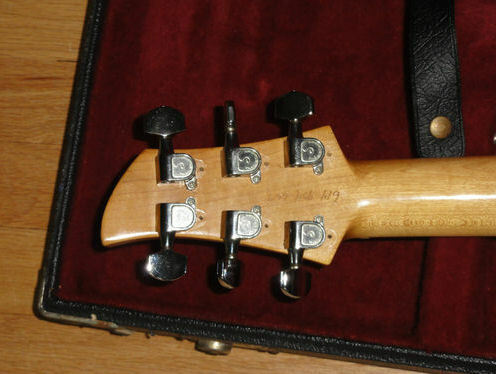 THE PREVIOUS OWNER DID REPLACE THE TUNERS AND INSCRIBED THEIR TELEPHINE NUMBER IN SMALL TYPE ON THE BACK OF THE HEADSTOCK. 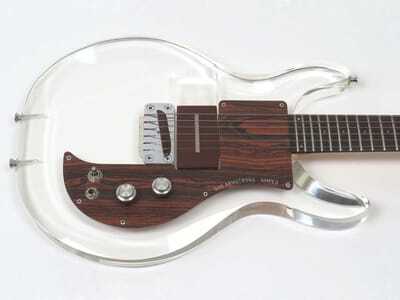 THE GUITAR PLAYS AND SOUNDS GREAT. 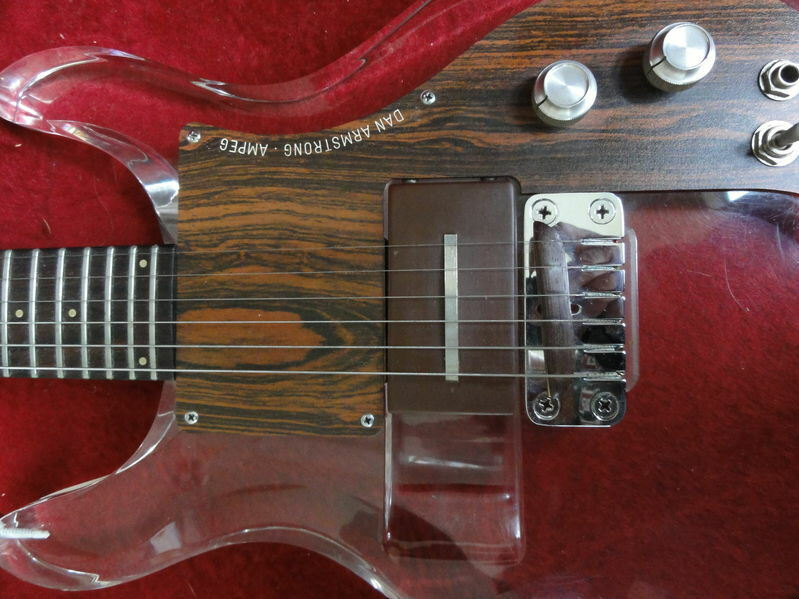 SINCE IT IS NOT ALL ORIGINAL THE ASKING PRICE IS $1,900 WITH A BEST OFFER OPTION." 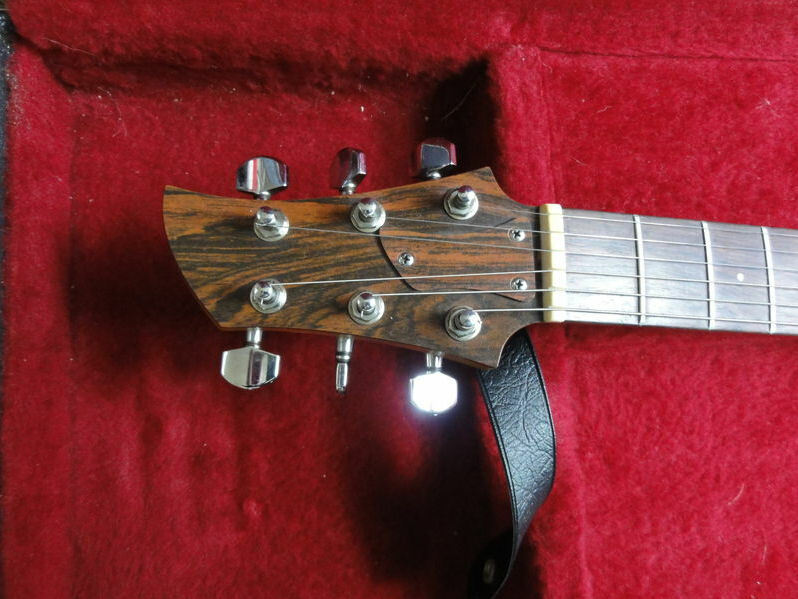 Back on the market in December 2016 with a new set of tuners, asking $2,950. 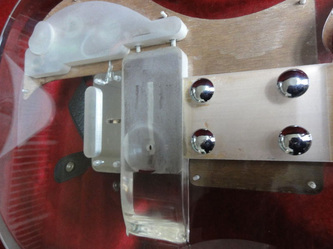 Someone's also added a machine screw to hold the pickup in, but why is the saddle installed backwards? 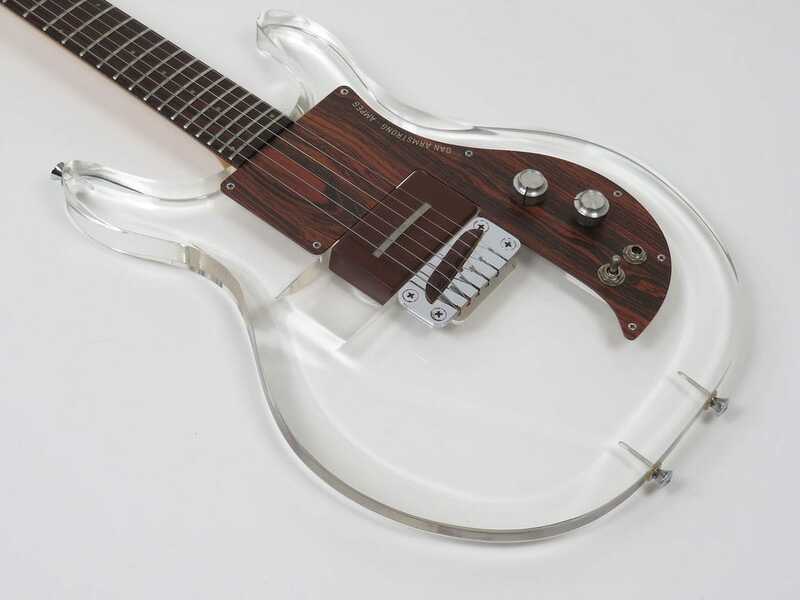 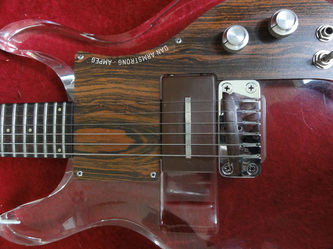 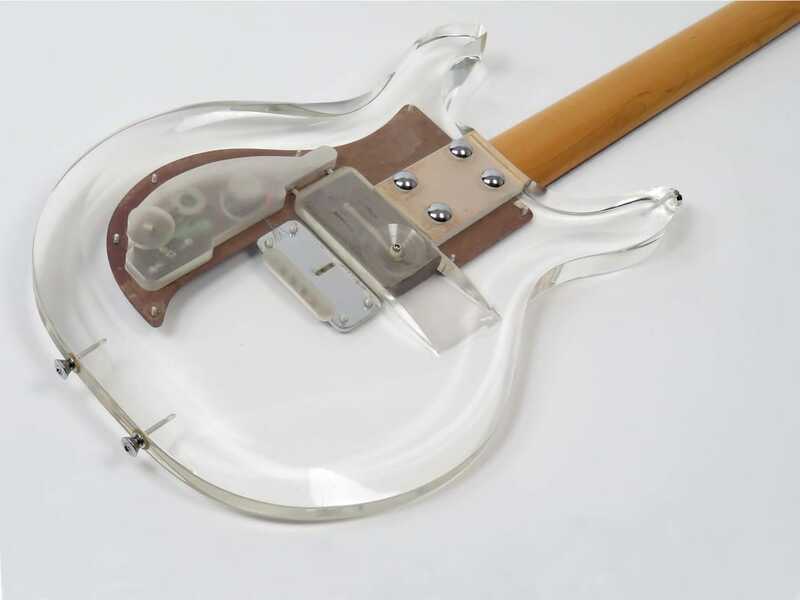 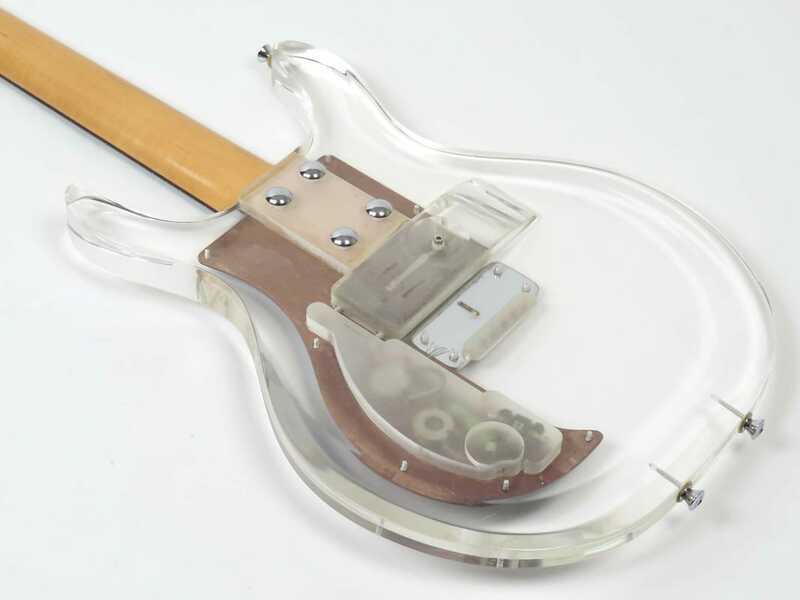 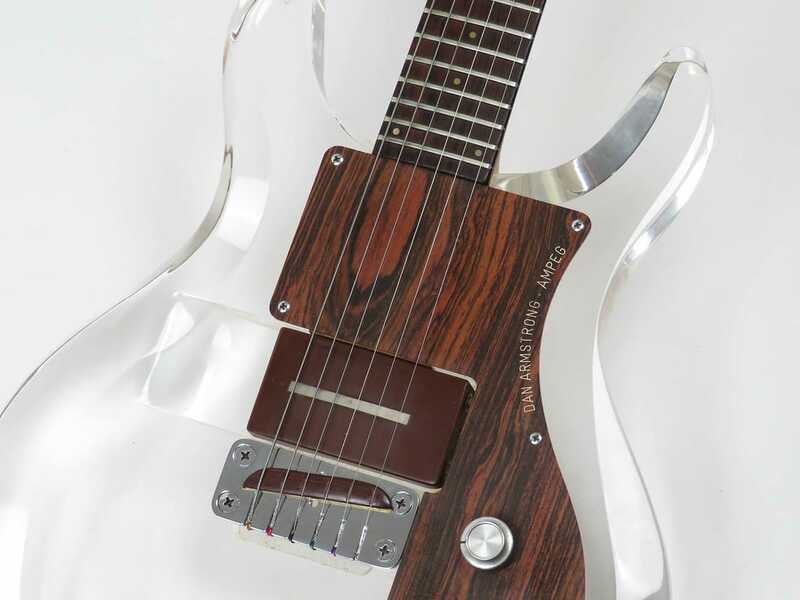 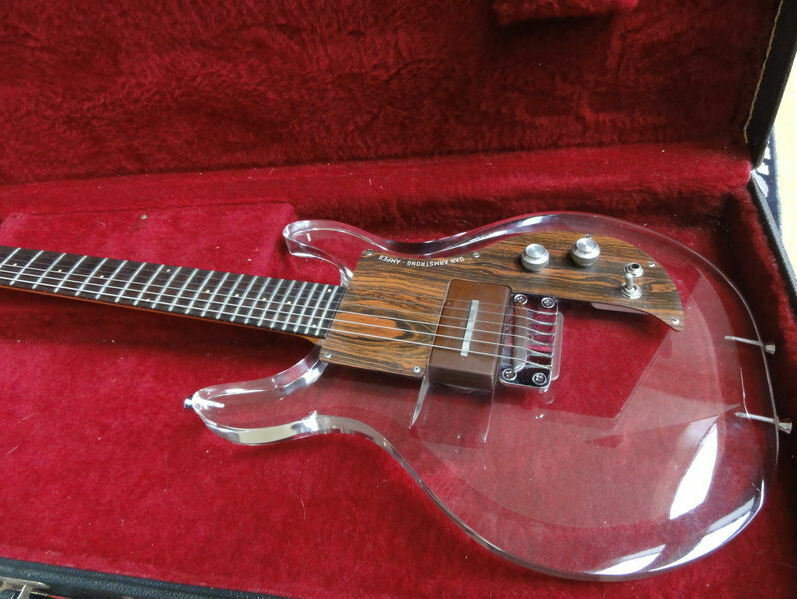 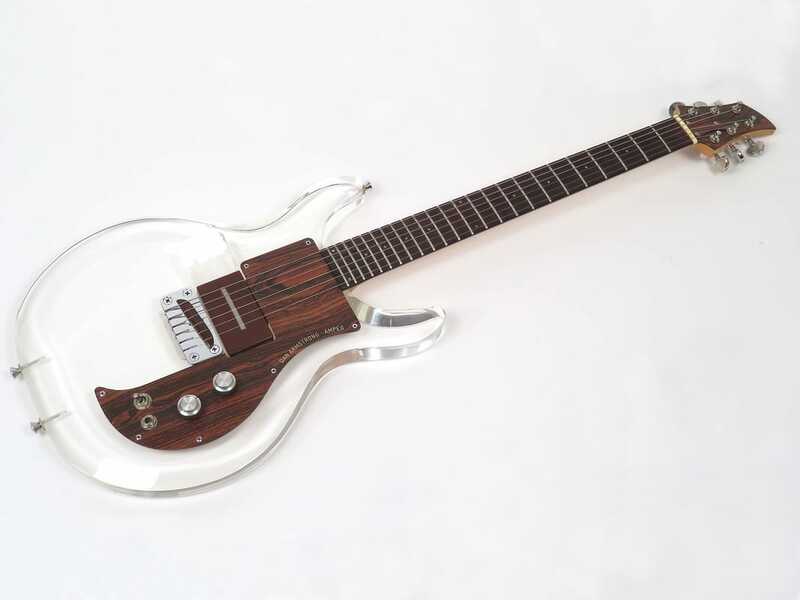 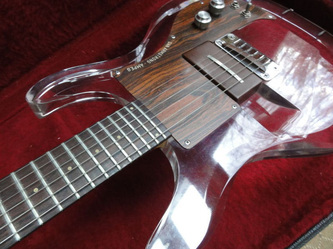 "A super cool Dan Armstrong Lucite Guitar. 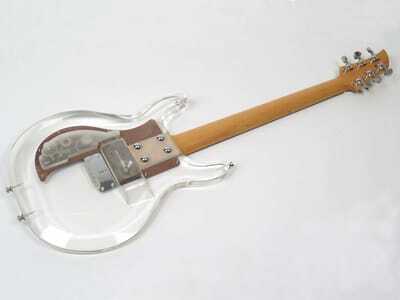 See through Clear Body, 1970 dated pots, drop in pickup, and wood style pickguard and headstock front. 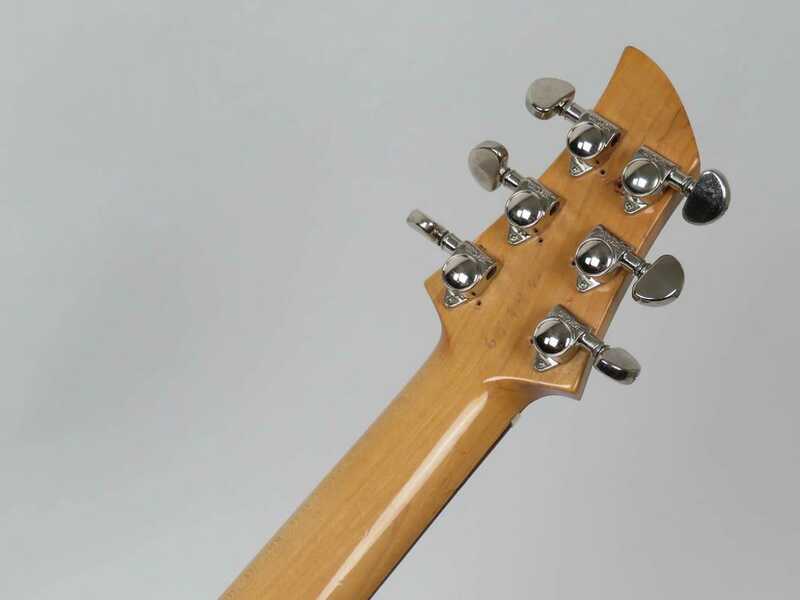 The guitar currently has newer Grover tuners with evidence of other tuners once being installed and a previous owner's identification number on the back of the headstock. 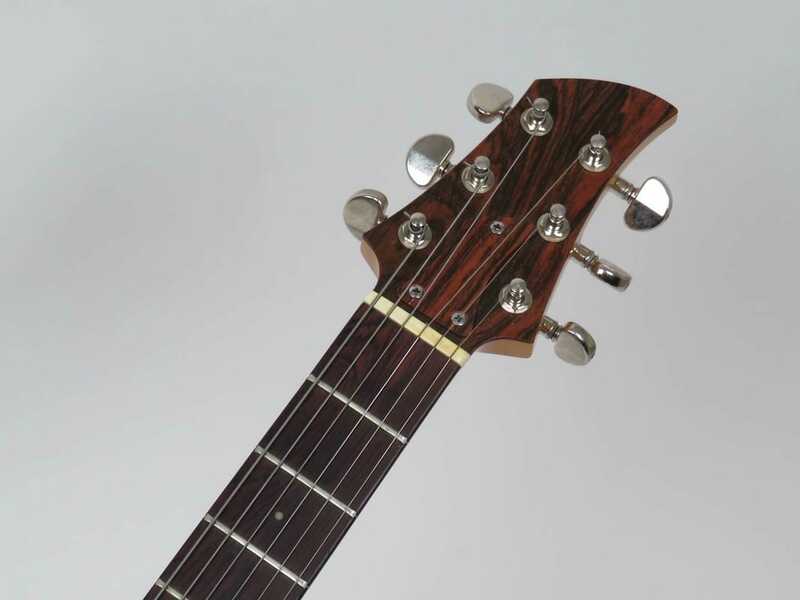 A great sounding iconic guitar with a rounded neck profile. Included is an older non-original hardshell case."